This little sweetheart was wandering around the streets of Jerusalem. When I think of all the places I've visited over the years, I think fondly of the feline friends I made along the way. 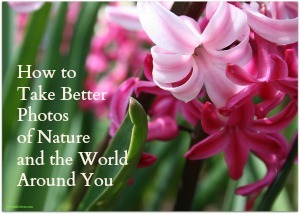 Learn how to take your own Monday Snapshots--or better pictures any day of the week! Registration is now OPEN for my July e-course, "How to Take Better Photos of Nature and the World Around You." Click here for details!